Get outside and enjoy the view. And, now is a great time to sow some cool weather veggies like lettuce, mizuna and arugula. 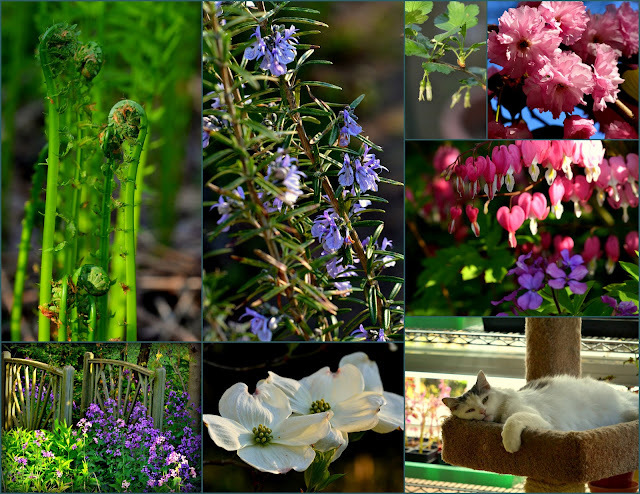 Photos and blog post Copyright (C)2013 Wind. All rights reserved. Kitty in the photo collage - our sweet Snoops guarding the indoor seedlings.